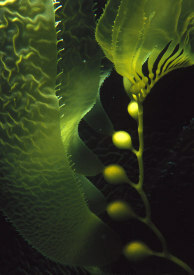 Kelp in shallow water, at Channels, on the South side of Anacapa. 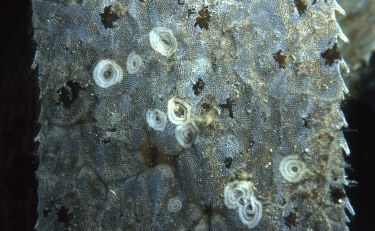 In many spots, urchins have devoured the bottom cover, leaving bare rock. These areas don't seem to be healthy for urchins either, because they are smaller than in areas with more abundant bottom life. 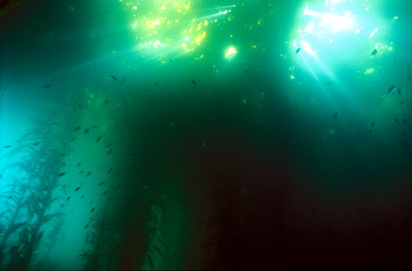 Sunlight shining through the kelp canopy. 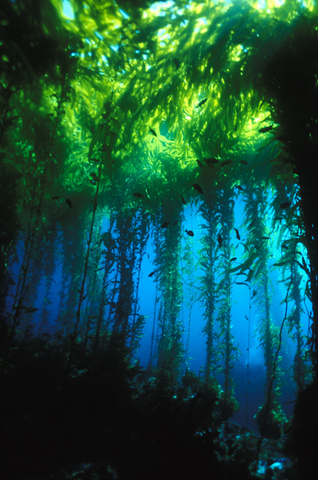 On a clear day, the kelp forest seems to contain more light than an abovewater forest. 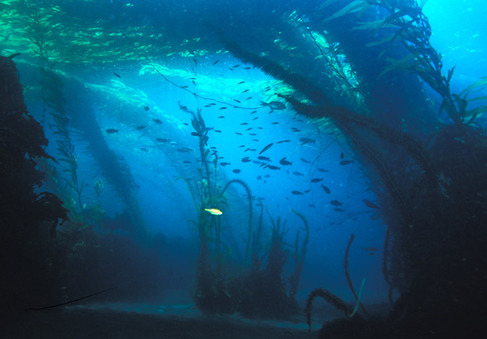 Krill and black rockfish in a kelp forest, at San Miguel Island. Often, gray whales stop off at San Miguel to dine on the krill, on their way to the Northwest Pacific where they spend their summers. 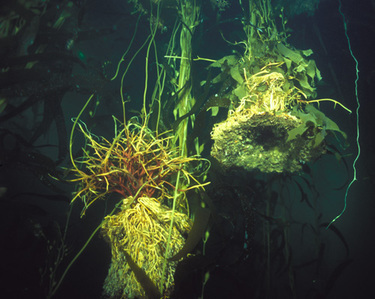 Often, kelp has enough buoyancy to lift the rocks that originally anchored it on the seafloor. Darwin wrote, in Voyage of the Beagle, "A few taken together are sufficiently strong to support the weight of the large loose stones, to which in the inland channels they grow attached; and yet some of these stones were so heavy that when drawn to the surface, they could scarcely be lifted into a boat by one person." 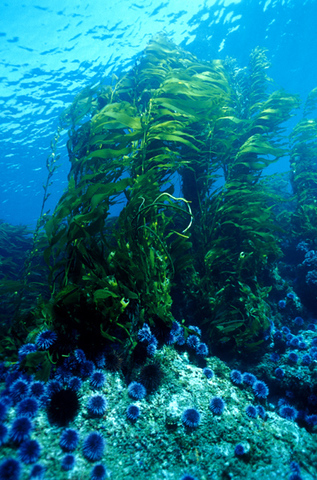 In other cases, the rocks drop off, leaving the holdfast at the kelp's base without anyting to which to hold fast. They seem like the island of Laputa in Gulliver's Travels: floating from place to place above the Earth, supporting its disengaged citizens. 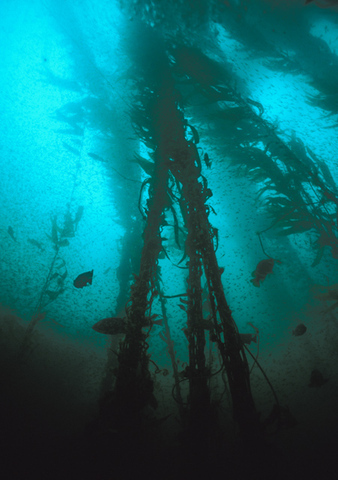 Although occasionally the kelp forest is beautifully clear, often suspended life in the water makes for cloudy conditions.